 A memorandum of understanding has been signed between U.P.Forest Corporation and Center for Environment Education North, Lucknow for Planning,facilitating and organizing Nature education camps for students and teachers of various schools 0n 30-01-2014. A training Program for is proposed for members of JFMC/EDC in the field of Nature Interpretatation at Katerniaghat Wild life Division in the Month of December 2014. U.P Forest Corporation is organising Day Visit Programs to Nawabganj Sandi, Samaspur Bird Sanctuaries and night stay Programs to Katerniaghat Wid Life Sanctuary Baharaich.